Interested in studying in beautiful New Zealand and possibly starting a life there? This is the seminar you should take. Koru Adventures and Travel is hosting its first ever seminar to help you choose the right course, prepare for your visa application, and so much more! 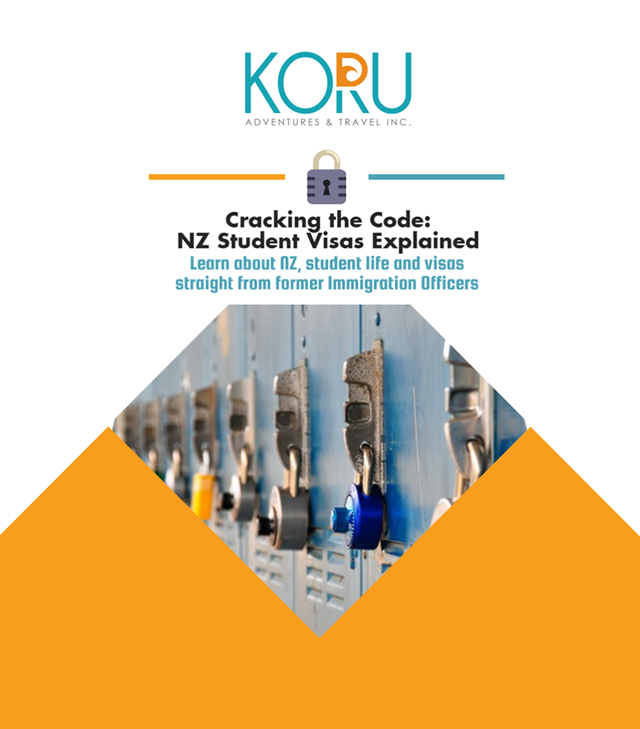 Raphaela Amat, former Immigration Officer and Technical Advisor of INZ Manila, will be sharing her insider insights on NZ education and student visas. Seats are limited. Register early to avoid disappointment and to avail of our early bird rate. Register by 18 May and get a 10% discount. Discounts for groups of 5 or more, and CSB students. Contact us for more info.